Competitive video gamers will be tested for the same drugs banned at the Olympic Games under a new scheme by the Electronic Sports League. In July, the ESL said it would launch an anti-doping programme after a top gamer admitted taking a performance-enhancing drug during a tournament. Players breaking the new rules could be disqualified or banned from ESL competitions. One games journalist said the move set a precedent for other tournaments. The ESL said it had banned the same substances prohibited by the World Anti-Doping Agency, but players with a valid prescription would be given the opportunity to declare their medicines. Restrictions apply "from the start of the first day until the end of the last day of competition", but players will not be punished for drugs taken outside of a competition. The ESL also said it had decided that saliva tests were a "better fit" than skin tests. "Our main goal is and always will be to maintain the fair play spirit and the integrity of our competitions," said Anna Rozwandowicz from the ESL. Thousands of video gamers attend eSports events to watch their favourite players and compete to win prizes of up to $500,000 (£322,700). The ESL announced its scheme after gamer Kory Friesen, known as Semphis, admitted he had taken Adderall at a tournament in March. 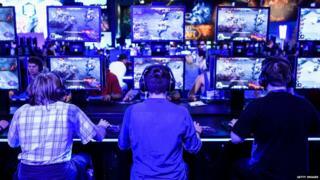 Now one tournament has done it, there will be pressure mounting on other organisations to do the same..."
"ESports has gone from a hobby to something mainstream that people are prepared to take drugs to win," said games journalist Keith Andrew. "It's good that the ESL has done this, but a bit depressing that it's come to this. With prize money that big some people will go to any lengths to boost their performance. "Now one tournament has done it, there will be pressure mounting on other organisations to do the same." The first randomised tests will take place at the next ESL tournament, which starts on 22 August.